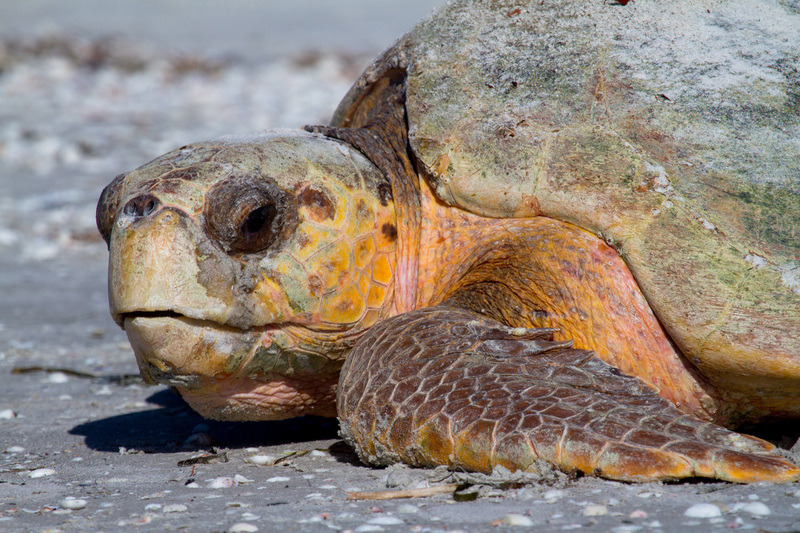 Sea turtle monitoring on Sanibel originally began in the late 1950’s with Charles Lebuff and Caretta Research, Inc., making it one of the longest running monitoring programs in the country. The program was transferred to the Sanibel Captiva Conservation Foundation in 1992 when Caretta Research, Inc. disbanded. The SCCF Sea Turtle Program surveys 18 miles of beach, from the Sanibel lighthouse to Blind Pass, every morning from April – October. Over 100 volunteers help with the nest monitoring activities. The cost of adopting a sea turtle nest is $75 (a tax-free deduction of $58 with a t-shirt, or $75 without one). By symbolically adopting a nest, you are playing an instrumental role in the conservation and research activities of SCCF's Sea Turtle Program. Your tax-deductible contribution will help defray the costs of the Sea Turtle Research & Monitoring Program. In December you will receive a certificate reporting the results of your adopted nest. Thank you for helping these amazing creatures survive! Find out more about SCCF's Sea Turtle Program here.